WordPress is used all over the world and users and customers expect themes and plugins to be translatable and available in multiple languages. Currently many WordPress themes and plugins are translation-ready, but many of them have not been translated. 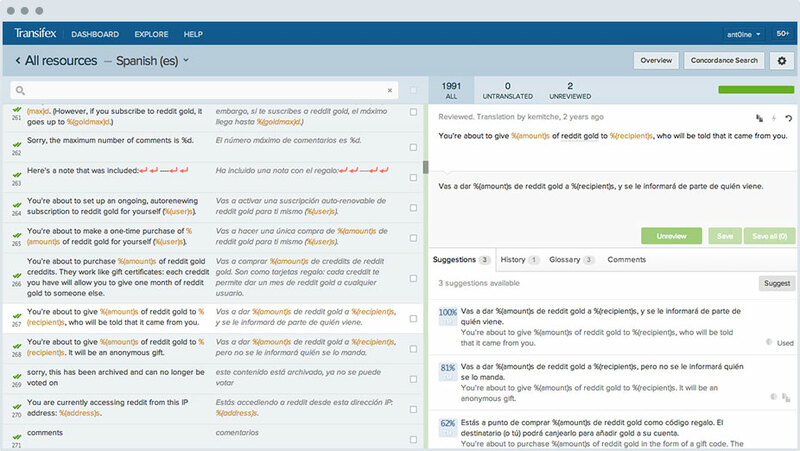 Most popular themes and plugins have been translated into multiple languages using crowdsourcing and localization platforms such as GlotPress or Transifex. In December the WordPress Theme Team updated its guidelines to require all new themes to be multililingual-ready. Authors submitting new themes to the official directory must ensure that all text strings are translatable. The most popular themes and plugins (with a great community behind) have been translated into many other languages, using crowdsourcing and cloud-based localization platforms such as GlotPress or Transifex. In this article I want to talk about translation management and collaboration platfoms to translate WordPress themes and plugins (GlotPress, Transifex, Oneskyapp, GetLocalization, etc). Internationalization, often abbreviated as i18n (there are 18 letters between the i and the n) is the process of developing your theme or plugin so it can easily be translated into other languages. Localization, abbreviated as l10n (there are 10 letters between the l and the n.) describes the subsequent process of translating an internationalized plugin. Any developer can successfully internationalize a theme or a plugin to allow others to create a translation without the need to modify the source code itself. The question is: How to manage translations (and translators) of your theme or plugin? The most common tool is Poedit. Poedit is a translation editor available for Windows, Mac and Linux which you can use to translate your theme or plugin. It’s available for free on poedit.net. GlotPress is an online translation application. 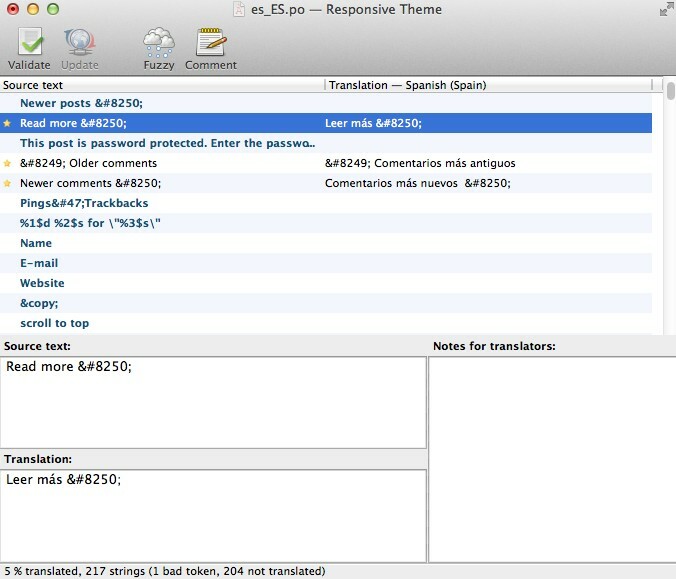 It’s a great free tool for translating your plugin or theme. 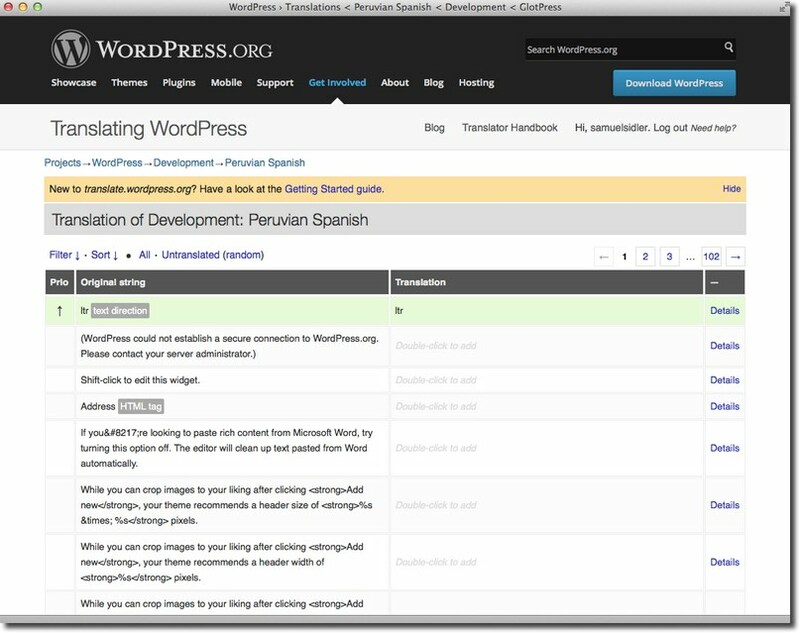 It’s the open-source engine that powers the translation of WordPress. The WordPress Project uses GlotPress (http://translate.wordpress.org) to translate several projects including: WordPress, BuddyPress, bbPress, WordPress apps for Android, BlackBerry, iOS, and Windows Phone, Rosetta (the wordpress.org locale sites theme – ex: ru.wordpress.org, es.wordpress.org, etc) and WordPress Default Themes (Twenty Ten, Eleven, Thirteen, Fourteen and Fifteen). 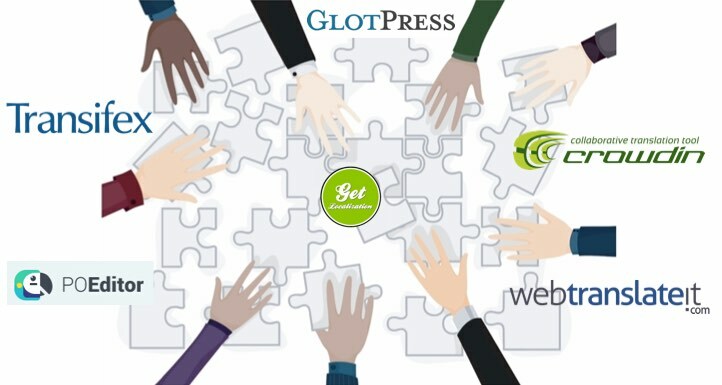 WordPress SEO by Yoast is using GlotPress (link to project). Also the CopyBlogger team is using GlotPress to translate Genesis Framework. It is very easy to use. The software itself looks basic (GlotPress – Translation handbook). You must install GlotPress on your server. Installation process is a bit complicated (How to install GlotPress). No notification system between translators. When translators add new translations to GlotPress, they don’t always tell you. Note: If your GlotPress installation is paired with a WordPress installation, there is a plugin called GlotPress notify that gives you an easy way to find out what’s waiting for approval. Transifex is a localization management platform that helps collect, translate and deliver digital content, web and mobile apps in multiple languages. You can manage multiple projects from one centralized platform. Transifex is not a language service provider or just a tool for translation. You can work with translation agencies, in-house translators or crowdsource the translations from your community. You can easily coordinate communication with everyone involved in your localization process – developers, agencies, freelancers, marketers. Transifex is used by Pinterest, Reddit, Firefox, and Joomla. Also It’s used by many WordPress plugins (Mailpoet, Woocommerce, Easydigitaldownloads) and themes (PageLines). Crowdsourcing localization means that you mobilize your crowd to help in translating your WordPress theme or plugin. Your translation crowd usually consists of multilingual users who are passionate about your plugin, but also colleagues partners, etc. Users want to thank you for creating a good plugin or theme and give something back. They know your plugin but they’re not professional translators. Which is the best way to localize your theme or plugin? Crowdsourcing or professional translators? Or could you take the best of both worlds? How to mobilize your community? Add a link to the localization project in your plugin, tell about it on your blog or website and discussion forums, send newsletters and find users in social media (Twitter, Facebook, Vkontakte etc.). How to hire professional translators? Localization platforms (Transifex, Oneskyapp, etc) also offer professional translation services. You can also find them on your own: language service providers, freelancers translators, etc. I want to make a final mention to a recent project, created one year ago, called WP-Translations, a new WordPress translation community using Transifex. As François-Xavier Bénard (founder) says “a bridge between developers and translators dedicated entirely to the advancement of the WordPress i18n ecosystem”. A very interesting project that can help you translate your WordPress theme or plugin. Have you already translated your theme or plugin? What has been your experience? Have you been involved in a crowdsourcing project as a translator?